substitute for all symbols except the scatter symbols. 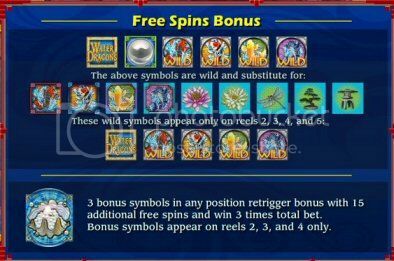 symbol at the bottom of the bonus screen and will fill from left to right. 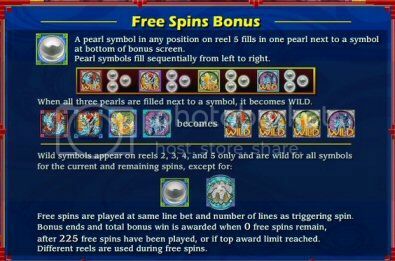 When all three pearls are filled next to a symbol, it becomes wild. been played, or if top award limit reached.